Workstation-Ready Fiber Scopes That Automatically + Reliably Inspect a Wide Variety of Connector Types...NOW AVAILABLE for QSFP MODULES! Pass or Fail an MT-12 in Just 12 Seconds. 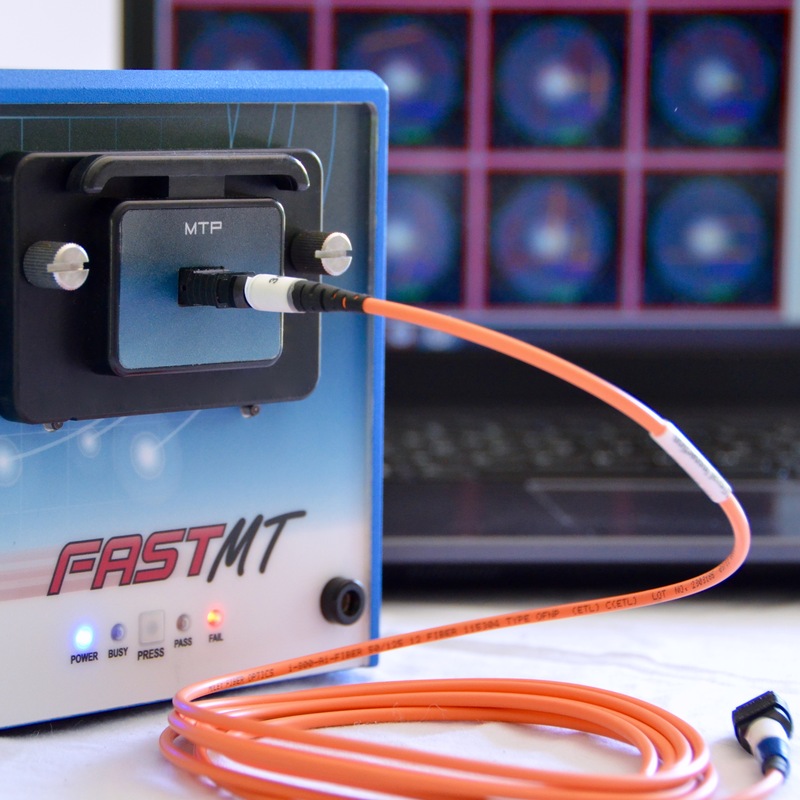 Automatically locate, image, and inspect the surfaces of fiberoptic end faces throughout the entire supply chain with a FastMT. View the ENTIRE ferrule (live or processed) without scrolling from fiber to fiber. FastMT’s unique system will pass or fail an entire part without technicians having to manually and subjectively inspect every...single...fiber. Along with fast, reliable quality assurance, you will be able to certify each inspection with an easy to read, single page report. 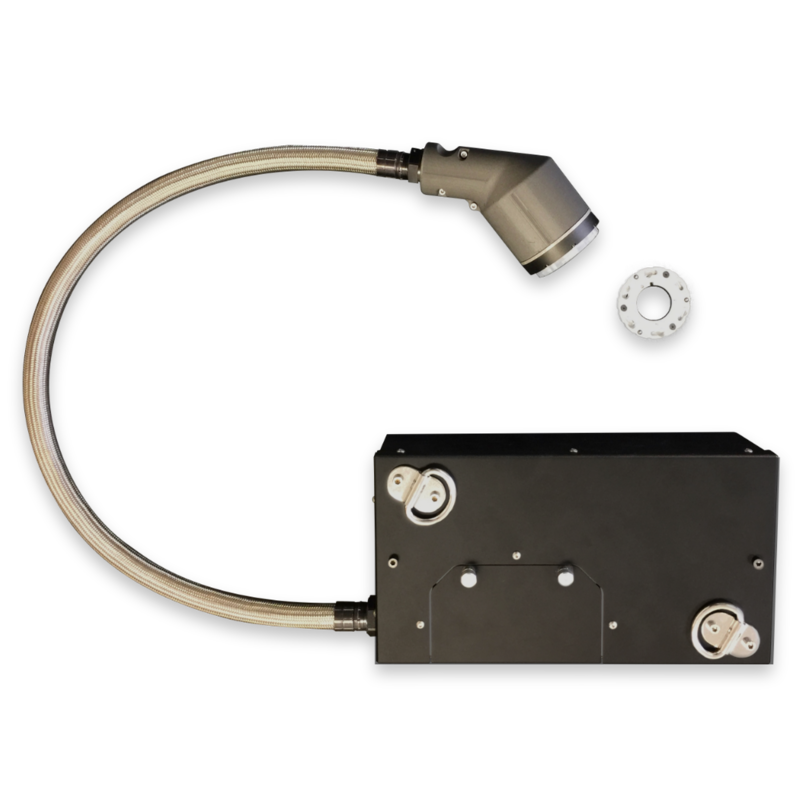 Every FastMT model can be paired with common or custom-made interchangeable fixtures that hold a variety of connectors securely in place for inspection. In addition to common fixtures such as MT or MPO (both UPC + APC), LC, SC, etc., FiberQA also offers fixtures for transceivers modules such as CPAK and QSFP. The latest addition to the FastMT fixture list is for LC Duplex connectors. Is FastMT a patented system? The patent is currently pending in the United States. How long does it take to test an MT connector? This depends on the number of fibers you are testing. 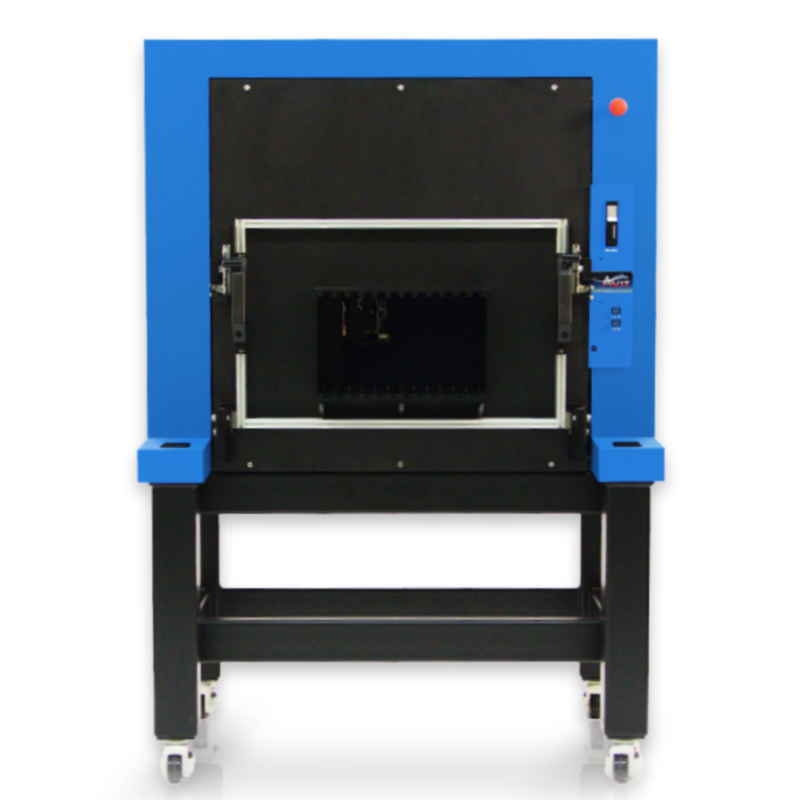 An MT-12 on our FastMT-200 can be tested in approximately 12 seconds. As you increase the number of fibers, the sec/fiber decreases dramatically. For example, an MT-72 on our FastMT-200 can be fully processed in as little as 35 seconds. What connector types can a FastMT inspect? MT-UPC & APC, MPO-UPC & APC, SC-Simplex/Duplex, LC-Simplex/Duplex, PRIZM-MT (on FMT-80 only), CPAK/QSFP-UPC & APC, MIL-Circular connectors, and more. Can I test parts like transceivers or lenses that have brightly illuminated cores? Yes. We have an HDR feature that allows you to test parts with bright cores without missing particles or scratches due to low contrast issues. Does FastMT have a reporting system? Yes. You can choose to use either Microsoft Excel or Word for the format. A report is generated with images and data about any defects that were located, where they were located, and what criteria they met or did not meet. Do the FastMT-200 and FastMT-400 models operate at the same speed? Because the FastMT-400 has to take 3 separate images, it is slightly slower, but only by a few seconds. As soon as the system captures the first image, the software begins processing those first fibers, even as the system is capturing the next image. Because of this overlap in capture & process, there is very little time lost in the process. Why does the FastMT-400 model take 3 images instead of 1? To achieve a higher magnification, FastMT-400 has a smaller FOV, and therefore needs to image 3 sections separately. I am not concerned about edge chips during end face polishing. The IEC-61300-3-35 specifies a 5nm cladding, which usually fails edge chips. Can your system handle this better? Yes. With our fully customizable settings, you can simply increase the Cladding Area to 10nm. This should omit any undesired edge chips you wish to exclude. If there is a large particle or edge chip that still appears beyond the cladding, will it fail the fiber? Only what is found within the processed zone will be accounted for. If that part is with-in passable limitations, it will not fail on account of the whole chip or particle. Is FastMT able to image in 3D? No, FastMT is a 2D fiberscope. Like all other 2D fiberscopes, we can't tell the difference between "innies" (chips) and "outies" (surface contamination, removable or not), but this can be easily determined by cleaning. If it is removable contamination, cleaning will resolve the issue. If it is non-removable contamination, or a chip that fails the limit criteria, then it is a rejected part. If needed, additional fault investigation can be conducted by interferometry to determine 3D information about the defect. Is training included with the purchase of a FastMT? Even though FastMT is easy to use out of the box, we provide up to two free hours of remote setup and training with the purchase of a FastMT unit. What if I have an issue with my FastMT after the set up and training time provided? FiberQA offers free troubleshooting for the first 90 days after purchase. We recommend reading the User Manual provided with the system, and watching the training videos thoroughly. Most user issues are easily resolved through education. Are there any additional FastMT products? 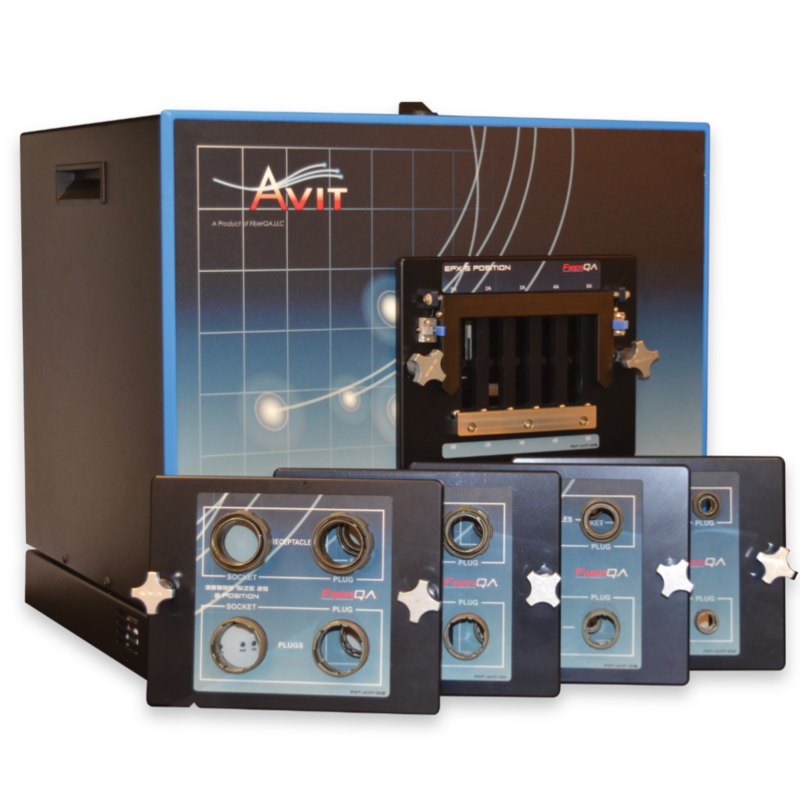 We have integrated our FastMT technology into our multi-ferrule inspection AVIT line. 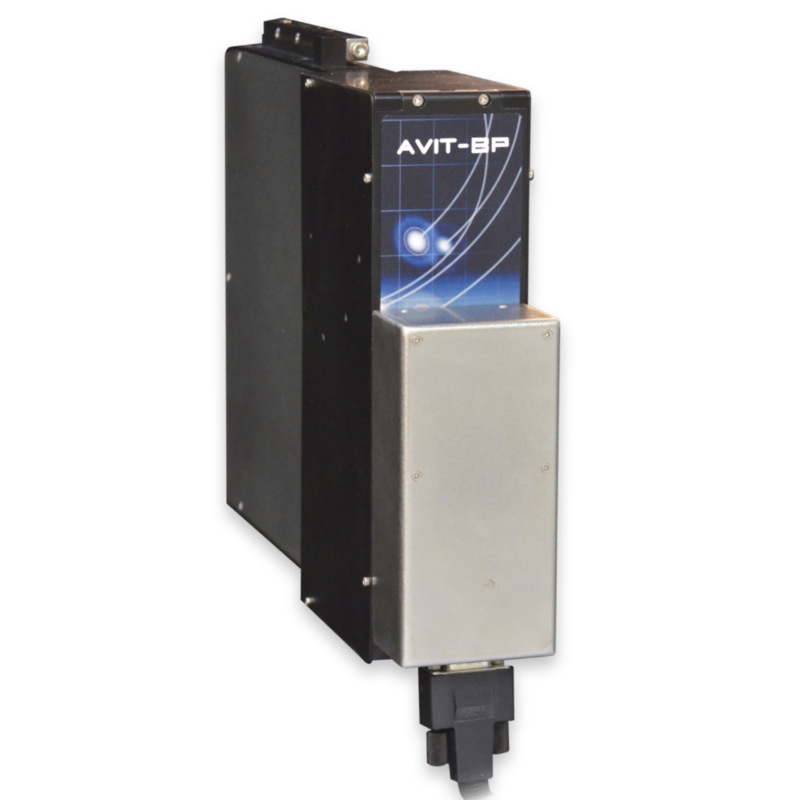 The AVIT system can decrease the active operation time of 8+ hours to just 45 minutes of passive operation (less than 3 minutes of active operator time).